I printed this photo by mistake the other day, then while I was organizing things here in my craft room I found my layouts from Convention in Orlando this summer and realized I had just a few scraps left that would be perfect for this picture so I set everything aside. 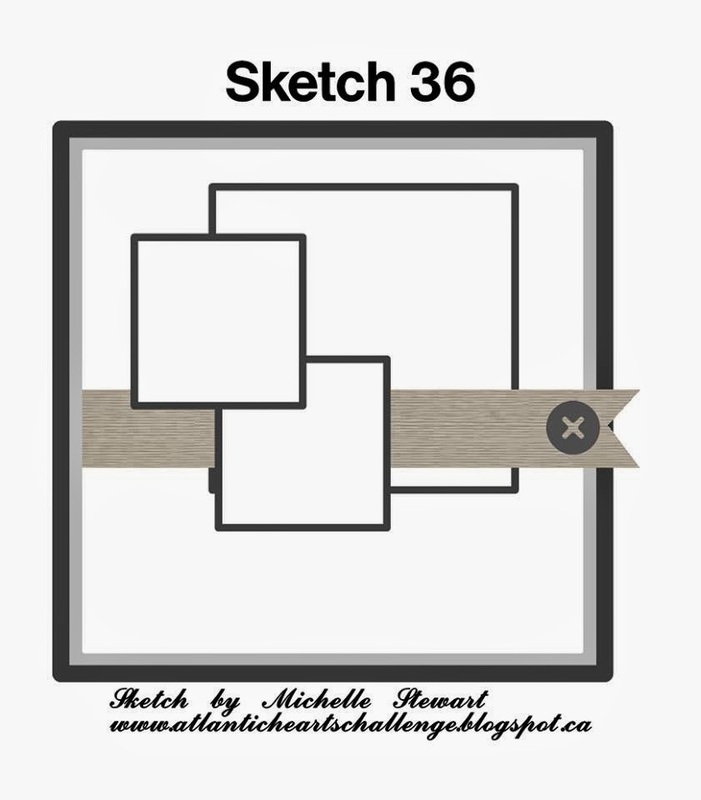 Then I saw this week's Atlantic Hearts Sketch Challenge! The sketch was perfect for the picture - funny how things come together sometimes! 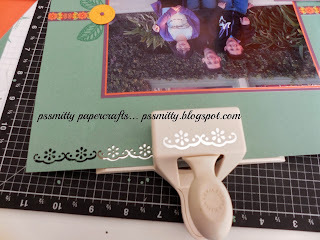 There is a painted image right on the punch so you just line up what you last punched over the image & continue punching for a perfectly spaced border. On the backside of the layout I have attached a strip of smoky plum cardstock. 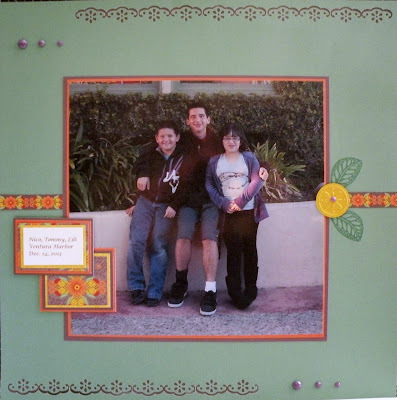 Hope you decide to create something & post on the AHSC blog! Great layout, it really did work out nicely. Glad my sketch helped you out!! Great layout !! I use border punches quite often, but never the way you have. I love it. 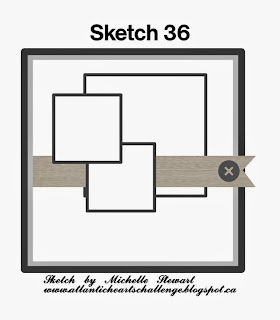 thanks for the inspiration , and thanks for joining us at Atlantic Hearts Sketch Challenge !! Great layout, I love when people use layouts for the AHSC sketches, I have been doing layouts too; I need to get some pictures scrapped. I really like how you kept true to the sketch and made a layout, great job and thanks for playing along. What a great layout! Thanks for sharing with us at Atlantic Hearts! Fabulous layout! Thanks for playing along at Atlantic Hearts. AHSC #35 - Happy New Year!